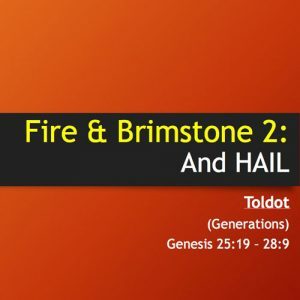 Patrick Shannon completes the 2-part presentation about the phenomenon of fire, brimstone, and hail, that seems to occur more than two dozen times throughout the scriptures. He gives a scientific explanation for this and shows what is likely our only hope through a future occurrence as described in The Revelation. Click the PLAY button below to start the audio and you may wish to download the PowerPoint show which includes some video clips, or you can watch the entire service online.